Legal fees can add up quickly. An extreme case of outrageous legal fees is Simon and Chana Taub ’s divorce. The Taubs’ racked up over one million dollars in legal fees. The attorney fees were so extreme because they refused to be reasonable. Neither party was agreeable to move out of the house, so they ended up fighting it out in court. The Court ordered that a wall be installed to divide the house in half, so that both parties could stay in the house. As part of the final settlement, the Court ordered the house sold. The divorce has been going on since 2005 and was complicated by New York’s old law requiring fault for divorce. Regardless, the parties decided that they would remain entrenched in their positions and fight each other at every opportunity. If you do not want your legal experience to be like the Taubs’ experience, then read the following list to help reduce your legal fees. 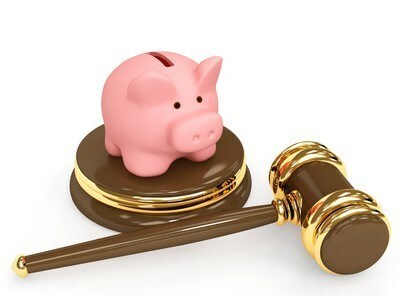 If you and your spouse are agreeable to the terms of your divorce, then filing an uncontested divorce will drastically reduce the cost of your legal fees. Help your attorney by having documents prepared and organized. Attorneys charge on an hourly basis. If your attorney does not have to collect and/or organize your documents, then it will save you billable time. Choose a lawyer based on references and your impressions after your initial consultation. Lawyers with big flashy ads charge high rates to pay for more big flashy ads. Having a fancy office in a prime location is expensive and consequently the clients will be charged a higher rate. Keep phone calls to a minimum. Contact your lawyer when you need legal advice and contact your mental health counselor and/or friends when you need psychological advice. If you do have questions, consider asking multiple questions in one phone call or send an email.